Who makes up the Oklahoma Lottery Commission and what is the function of the group? Governor Brad Henry announced the appointments of the seven-member Oklahoma Education Lottery Commission Feb. 21, 2005. The panel is charged with establishing and operating the Education Lottery overwhelmingly approved by Oklahoma voters in November. 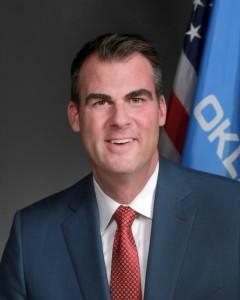 Appointees include: Ron Norick, Oklahoma City businessman, manager of Norick Investment Company, former mayor of Oklahoma City (1987-98); Cindy Ball, Muskogee educator, 2004 Oklahoma Teacher of the Year, 2002 Oklahoma Foundation for Excellence Teacher of the Year; James Orbison, Tulsa attorney, former chair of Oklahoma Transportation Authority, former director of Federal Home Loan Bank of Topeka; William Paul, Oklahoma City attorney, former senior vice-president Phillips Petroleum, former director Oklahoma City Chamber of Commerce, former president American Bar Assoc. ; George R. Charleton, Jr., Tulsa businessman and owner: Charleton Investments, Charleton Construction Company, Charleton Catering and Tulsa- area Subway Sandwich Shops. 1989, 1991 Minority Retailer of the Year, 1993 Tulsa Small Businessman of the Year; Linda Dzialo, Ph.D., Lawton educator (retired), former vice-president for student affairs, Cameron University, former assistant superintendent, principal and classroom teacher, Lawton Public Schools; Thomas F. Riley, Jr., Stillwater; businessman/CPA, executive vice-president/CEO of Chickasaw Telecommunications, former employee of Price Waterhouse Coopers audit and tax department. State law requires the commission to include at least one attorney, one accountant and one professional with marketing experience. No more than two appointees can come from the same congressional district. Members are prohibited from having any interests that conflict with lottery duties. All underwent an OSBI background check. Although commissioners can begin serving immediately, they must be confirmed by the Oklahoma Senate. Under the Education Lottery statute approved by voters, the commission is responsible for hiring an executive director to oversee the implementation and daily operation of the lottery. The panel must also approve all procurements and contracts, in addition to promulgating rules to govern lottery games.